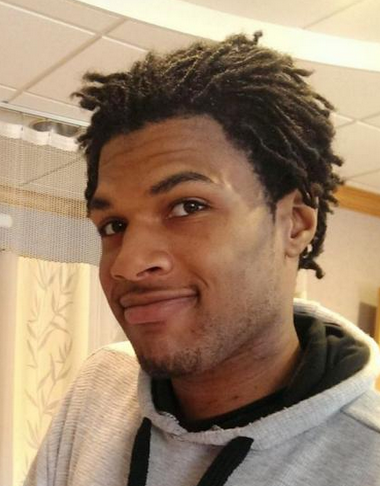 John Crawford's family filed a federal lawsuit Tuesday "charging negligence and violations of Crawford's civil rights" in the fatal shooting of the 22-year-old inside a Beavercreek, Ohio, Wal-Mart, the Associated Press is reporting. The suit is levied against "the city of Beavercreek, the two Beavercreek officers involved, the police chief and Wal-Mart Stores Inc."
A grand jury decided not to indict the police officers who shot Crawford, who was carrying a BB gun at the time of his death in August. Video shows Crawford entering the store and picking up the unboxed gun from a Wal-Mart shelf. Crawford can be seen carrying the gun throughout the store while he shops and talks on his cellphone. Police arrive shortly after and fatally shoot Crawford. "All we want is justice for John Crawford," Michael Wright, the family's attorney, said at a news conference Tuesday. Wright is hoping the civil-justice system will right the wrongs of the criminal-justice system. "Wright said the criminal-justice system has so far refused to hold the officers accountable and that it is necessary for the civil-justice system to do so." the AP report read. The lawsuit currently seeks at least $75,000 in damages, AP reports.